Hey y'all! Well it seems that fall is here, the temperature has dropped even here in AZ to the 90's! WAHOO!! haha! I know, I know that's not really cool, but when you go from 115+ everyday it feels like a drastic drop to us. And because of that I'm really in the fall mood, dying to bake and use all those beautiful apples that are showing up in my stores and pumpkin... I'm getting hungry just thinking about it! I don't know about y'all but this is my favorite Food time of the year, all the warm flavors and cinnamony goodness, just makes my soul sing. Peel and slice the apples, and set aside in a little bit of lemon juice. 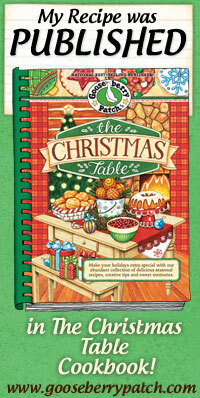 Mix together the crust ingredients and reserve 1 cup of mixture for the top and pat the rest into a 8x8 pan. Cover with the sliced apples. In a medium saucepan boil the sauce ingredients for 5 minutes. Should be thick and bubbly. Pour over apples and cover with reserved crust mixture. Bake for 45 minutes at 350F degrees. Best if served warm (but is also delicious cold), may be topped with ice cream or whipped cream. This is a very loved recipe in my house. I made it a few years ago for my Sister In Law's birthday and it's since become my easy fall back dessert that impresses and is like comfort food! My Little Sous Chef thinks it's the most yummy "cookie" and loves the cinnamon apples. Be sure to give this a try for the holidays, a wonderful substitution to the typical apple pie! 5 Stars. P.S. Don't forget about the Giveaway going on until the 29th for a $100 American Express Giftcard!! 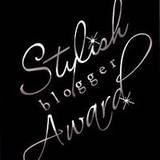 There's still time to enter! 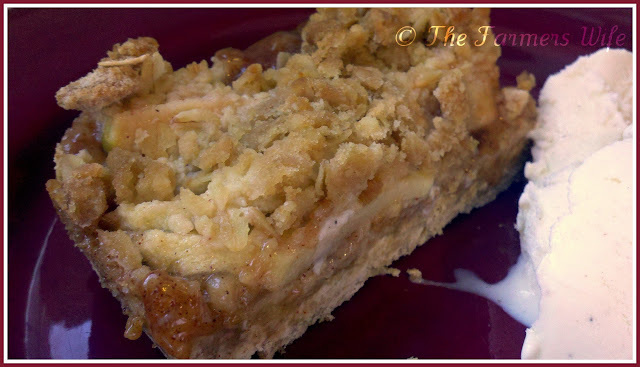 These Apple Bars look mighty fine...how wonderful to have Grandma's recipe to re-work. I'm with you on the weather cool down and ramping up to bake fall fare. Keep 'em coming Farmer's Wife! So happy it is apple season! Thee bars look amazing! 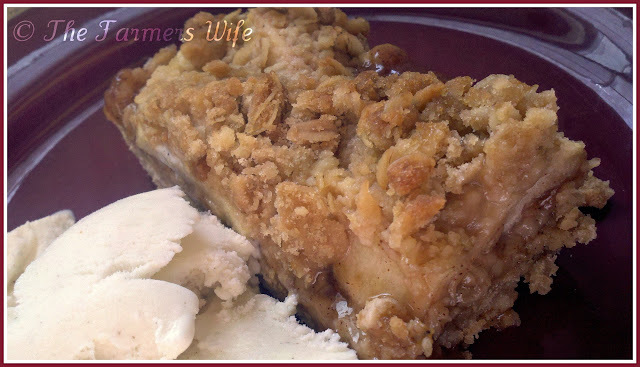 My grandma used to make amazing apple bars! These look very inviting! I'm with you about how fall and how it gets you in the mood for baking. I love the drop in temp and the urge it gives you to get cozy and have some comfort food. Thanks for sharing Grandma's recipe, they look so delicious! Looks so delicious. Big fan of apple treats. I can see why you are so smitten with the crust -the picture does look delicious. I am big on streusel and your crust alone qualifies! I have saved this recipe-thanks for the effort on updating this dessert to what it is today. Yum! I love apple recipes, especially with a lot cinnamon. these bars look like the perfect alternative to apple pie. Thanks for updating Grandma's recipe. Ooh these look fantastic and your grandmas recipe. I bet they are out of this world. I just printed the recipe and looking forward to trying them. 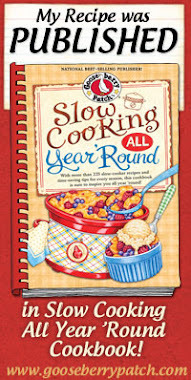 Definitely perfect for fall and I'm with you - this is my favorite time of year to cook. Thank you for updating your recipes, otherwise I would have never seen this. YUM! Made these this weekend. Amazing and easy. Just don't skip the ice cream or it's too sweet. =) Delish.